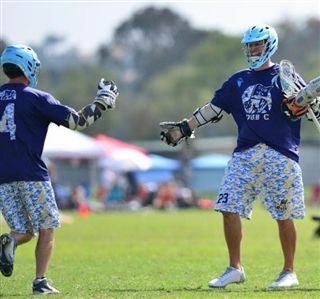 Proving just as valuable on the field as on the sidelines, Boys Varsity Lacrosse Coaches Don Collins and Graham Elsdon helped lead their Men's Over-30 Lacrosse Team, "Dub C," to a Jam By The Sea Lacrosse Tournament Championship on March 22nd. Both Collins and Elsdon had multiple goals and assists over the course of the tournament and the duo had a great time playing with, and off of, one another. Congrats Coaches!